Living in Pakistan, one never realises the importance of a government-public relationship that much and finds oneself taking a lot for granted. As soon as you disembark onto a new land, you find yourself alienated from your loved ones and friends. Finding different faces at work and in the proximity of a new home is itself a massive challenge. You often find yourself enveloped within work, finding it difficult to keep up with the daily responsibilities that come with this new phase of life. The transition churns feelings of confusion within oneself and as these people pay visit to their homeland they find their sense of belonging within their own country being lost. Living in many foreign countries as an expatriate, I experienced many similar incidences where getting anything done through our own foreign offices became a massive trial. I attended many functions, parties and events but never saw anyone from our embassy or high commission taking part in such proceedings. As I talked to the people, I noticed a pattern where people have many stories full of grievances and complaints. People’s reservations were that embassy officials were either found present in other diplomatic parties or they only appeared during a visit by the prime minister or an important delegation. When we moved to Australia we carried lots of other memories, including ones of these diplomatic experiences as well. When I asked my wife to renew her passport, she simply refused to go alone based on her past experience. I told her to go and give me a call from there and in the mean time I would find a good reference. I called two of my friends here and both had great praise for the consul office and told me that I should not worry. To my surprise there was no call from my wife so I called her myself. She was full of excitement, telling me that everything was done without any hassle and that she would get her new passport in a week by mail. That made me curious to find out who brought this change as it was different from other offices. Soon I found that the person who initiated this change was Her Excellency Naela Chohan. She hails from Rawalpindi and is the wife of a seasoned foreign officer Excellency Javed Musa Chohan who held many senior positions including Ambassador of Pakistan and is a local favourite. Mrs Chohan, who is an ardent painter and loves nature and beauty, through her benign nature brought humanity into the government-public relations here. She broke the long standing arrogant style of the High Commission and Consulate in Australia, changing it from an untouchable to a friendly one. As a great women’s rights advocate and veteran diplomat, she assumed leadership positions in eight different Pakistani diplomatic offices. 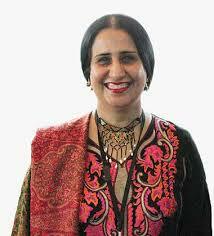 Canada’s weekly magazine related to foreign policy, the Embassy Magazine, in January 2008 described her by saying that though slight in stature and soft in speech, Naela Chohan accounts for 50 percent of the Pakistani foreign services most potent power couple. She has great patience and a good listening ear and is always ready to listen and support. Her amazing leadership style made the key difference. As they say, ‘where there is a will there is a way’; with her own good intentions she found great support from the Consulate General in Sydney, Abdul Aziz Uqaili, who started this journey. He reached many hearts and souls of expats here in Australia. Here, I quote a great story about Nazili from Melbourne who called Pakistan Association’s President Rana Abbas from Melbourne and told him that she received sad news of her mother’s demise and wanted to take the first flight to Karachi to attend the Namaz e Janazah of her mother. She was extremely depressed and distressed and on top of that had found out that her passport was expired. The only way that this problem would be solved is if she got her Australian passport stamped with Pakistani visa. Rana Abbas called the Pakistan consulate and informed the consul general of the situation and proposed the possible solution. The consul general responded immediately and agreed to provide all consul support to her and the consulate office was opened again late at night and the visa was issued. With everything having been resolved, the woman called Rana Sb with tears from the plane before flying and thanked him and everyone at the consul office. This is one of the many stories you will hear from the Pakistani community here in support of the positive attitude of the high commission and consulate office staff. Whether it is a ‘fund-raising event’ or a ‘food for homeless’ organised by any community, you will always find people from Pakistani High Commission and Consulate there. 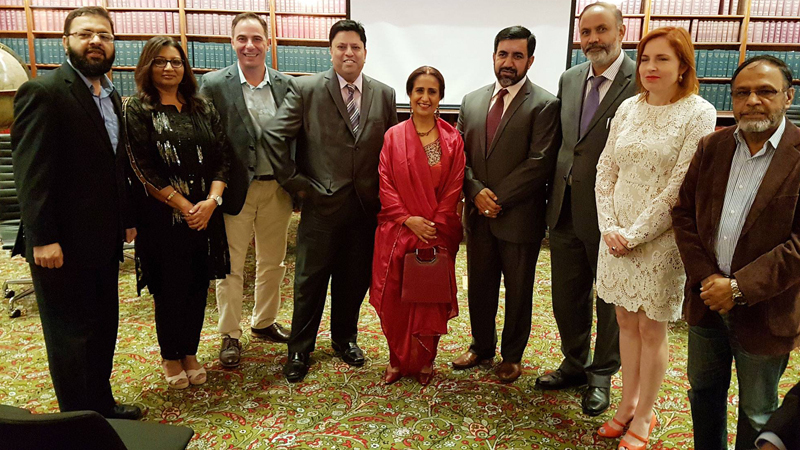 This has phenomenally improved the impression of the Pakistani community here in Australia. Moving to a bigger and better facility was on the top of the bucket list of the Pakistani community here. Mrs Chohan took that as a challenge and made it possible and in no time won many hearts. Furthermore, then Consul General Abdul Aziz Uqaili with Deputy Consul General Bushra Salam ensured that during transition to a new place, the Pakistani community would not suffer. Mrs Salam worked late nights with her support staff to leverage and facilitate people and is extremely popular here now. It is also amazing how our foreign mission runs here with a minimal staff and provides quality service to not only Pakistanis but also Afghan nationals. A lot of people believed that Mr Uqaili had played a pivotal role in improving the quality. He has also played a pivotal role in the govt-public connection that was initiated by previous Consul General Azam Mohammed and the way people attended his farewell lunch was proof that our people never forget good gestures. He was replaced by Abdul Majid Yousafani who is a seasoned bureaucrat. People were scared that it would be difficult for a newcomer to match the quality and standard of service established by Mr Uqaili. Mr Yousafani however, in no time proved that you can even improve perfection. He removed all red tape barriers and opened doors to people from all walks of life. He worked hard to improve systems and facilitate Pakistani businessmen in their trade with Australia. 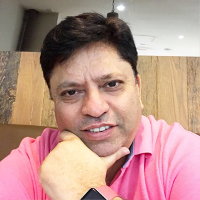 When Dr Khurram Kayani of Pakistani Professionals and Entrepreneurs Syndicate organised a Code Camp for kids, he joined them in a notice of half an hour and drove to the centre by himself. He sat with kids and talked to them for hours. He went all the way to attend Chinaar Community Cricket tournament to encourage a small Pakistani community. There are numerous stories of such great endeavours involving people of the government collaborating, which made the mission a staggering success. There is a need to study this successful relationship in greater depth and for other foreign missions worldwide to adopt as an example.